Are garden sheds the key to happiness? Our survey says yes! When we compiled the Great British Shed Survey, we expected people to say they liked their sheds, but were staggered when over 96% of the 1602 shed owners who filled in our questionnaire said their sheds actually make them happy. But what makes a simple garden shed such a source of contentment? Allow us to ‘shed’ some light on why so many people have fallen in love with the humble garden shed - some fascinating insights into the minds of ‘sheddies’ across the land. This little girl knows that a shed is the place to be. “I’d just rather be in my shed,” one happy sheddie said. And he’s far from alone because a whopping 48% of shed owners said they’d rather spend quality time in their sheds than do almost anything in the house, with a further 28% even admitting to preferring ‘shed time’ to going to the pub. For one sheddie, all a shed needs is “a kettle and small fridge, oh and biscuits,” but things have come a long way since the allotment shacks of yesteryear. 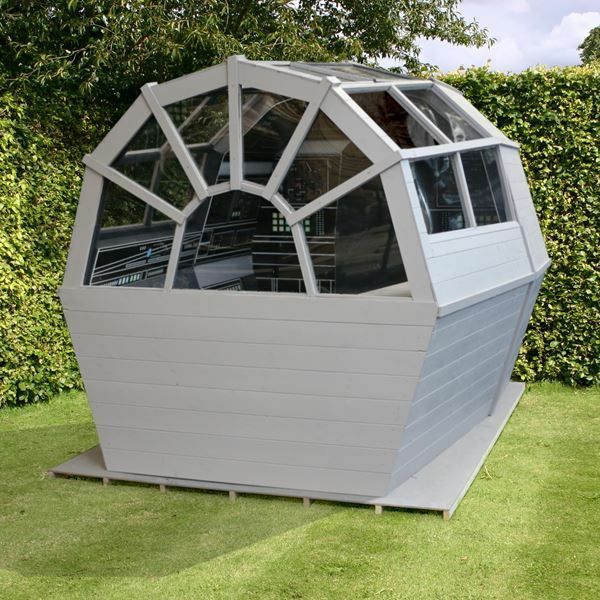 And while not all sheds are as futuristic as the Waltons Space Shed pictured above, many modern sheds do come with all the mod cons. Around the country, the majority of sheds have electricity, 27% are heated, and 28% have their own WiFi. Others boast double glazing, and many owners owners are willing to spend at least £100 decorating their garden retreat. 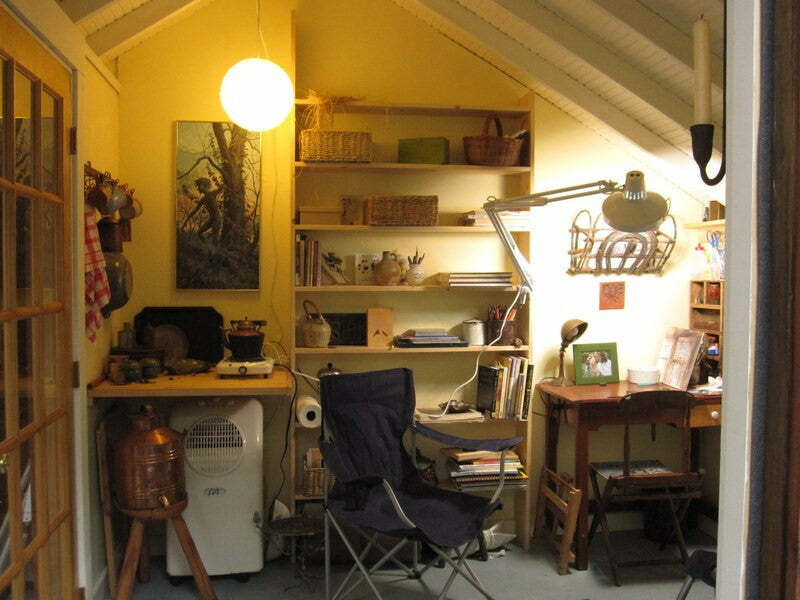 This shed is an office, a studio and a sanctuary for blogger, Cathy Johnson. Happiness is “a tiny getaway close to home,” blogger Cathy Johnson of Shed of Reality says. 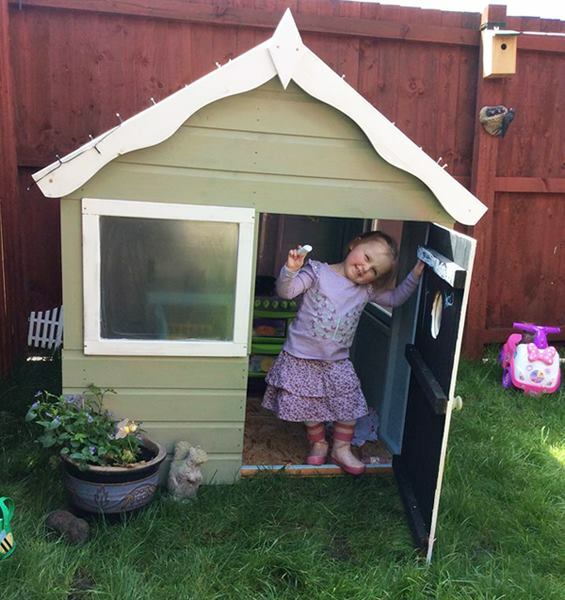 She goes on to explain the multifunctional appeal of her garden shed, saying that it’s “a workshop, playhouse, garden shed, sanctuary, mini-greenhouse, studio and home office”. But for some sheddies, their love of their humble garden abode goes even further. An amazing 48% of shed owners say they’d like to spend a country break in their shed, and 20% would actually choose to live in their shed if they could. A seaside-themed Bournemouth summerhouse to kick back and relax in. Many agree. In fact, 38% of shed owners told us that they use their shed as a place of relaxation with 23% considering their shed a good place for meditation, 18% using their shed for crafting, and another 15% for hobbies as varied as blacksmithing and martial arts. And for some of you that means a place to store your illicit stash of chocolate, cigarettes, alcohol or even love letters from exes. Where do you fall in the sheddie spectrum? 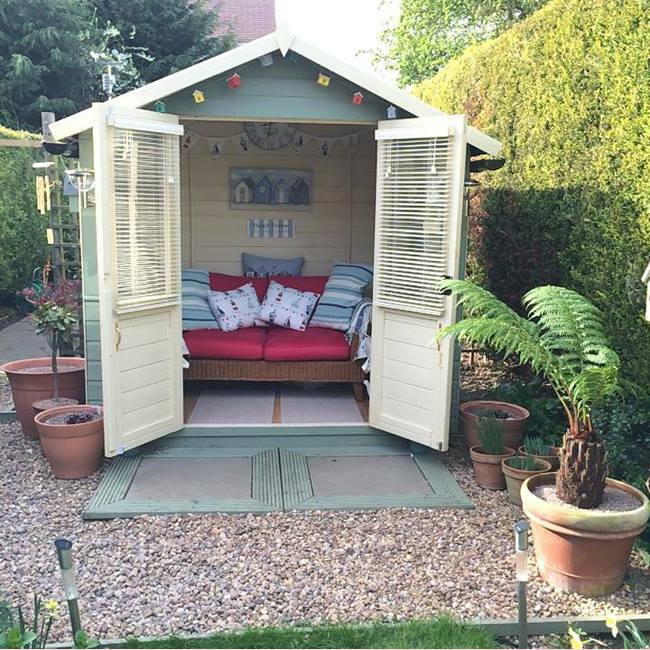 Would you rather live in your shed - or are you happy for it to serve as a much needed oasis of calm in the garden? We want to know! Tell us on our Facebook page.